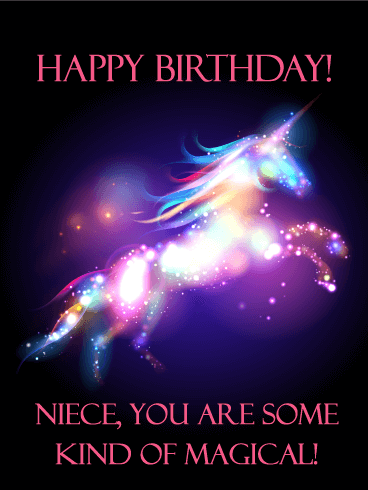 To my fabulous niece, Happy Birthday - You bring fragrance and light wherever you go! 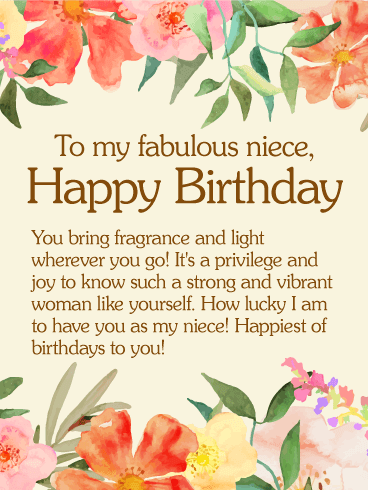 It's a privilege and joy to know such a strong and vibrant woman like yourself! 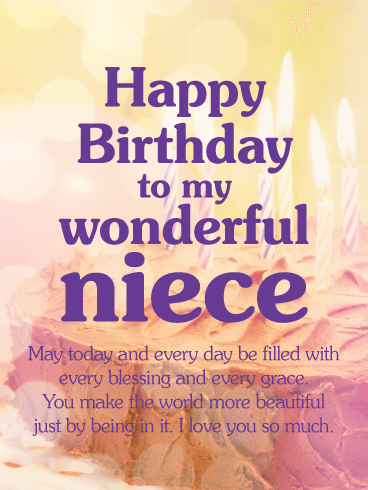 How lucky I am to have you as my niece! 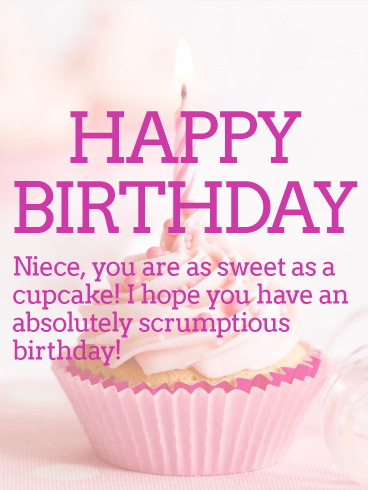 Happiest of birthday to you! 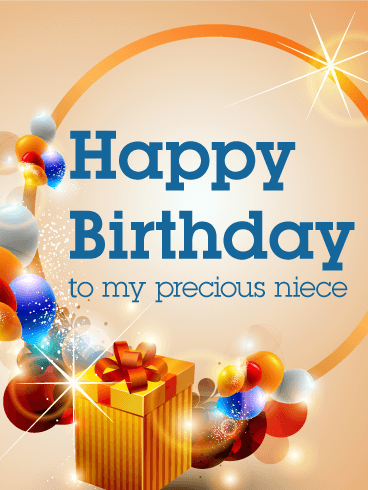 There are few things more beautiful in the world than a smiling child and sending this birthday card will ensure your niece is the most beautiful one when she smiles at the card you send her! 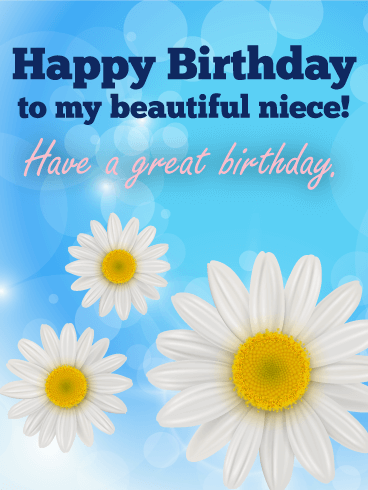 Warm and calm like a summer day, this card gives the joy and beauty of nature to the birthday girl. 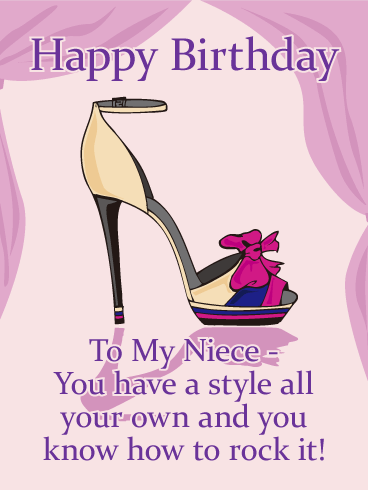 There's no better card to send your niece this year! 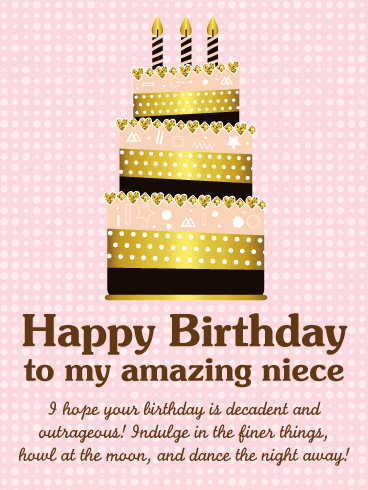 Make your niece's eyes widen with joy at the fabulous cake on this birthday card! 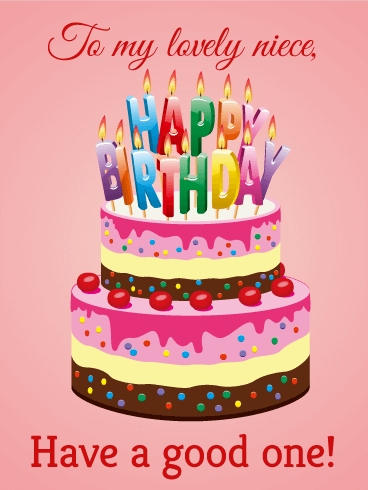 Made with chocolate and strawberry funfetti layers with a custard filling, this two-tier cake is topped with cherries and flaming candles that spell "happy birthday". It's a feast for her eyes! 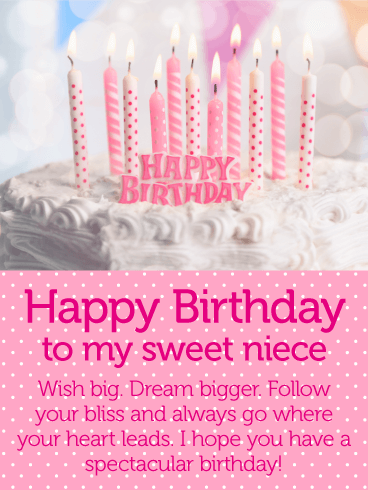 Full of joy and sweetness, this birthday cake card is perfect to send your niece on her birthday! 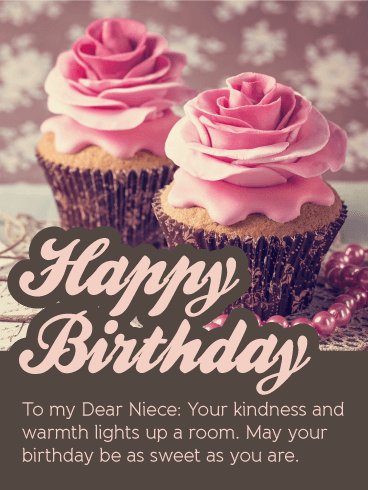 Send this uplifting and courageous birthday card to your niece for her birthday! These untethered balloons are rising high into the sky, ready for adventure. Each one is brave and unique with their fun patterns. 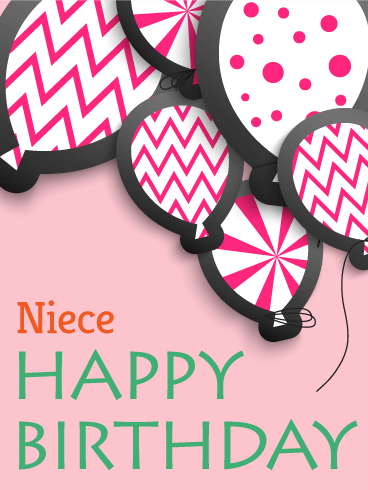 Encourage your niece to have plenty of adventure herself with this pink birthday card for her! 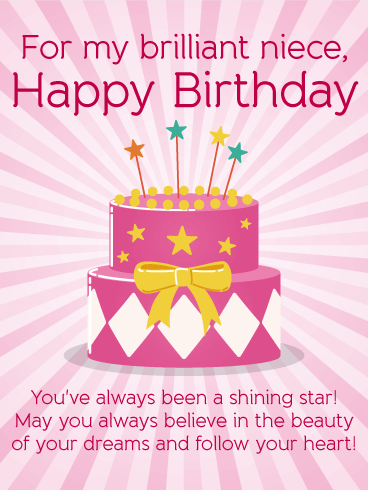 It's the perfect way to wish her a happy birthday and support her in the year to come.